Port of Kimberling Marina is centrally located on Table Rock Lake and the largest full-service marina. POK is only 15 miles west of Branson and a 45 minute drive south of Springfield. POK is an all-inclusive vacation complex complete with ski boats, pontoon boats and houseboat rentals. A dive shop, gas, restaurant and more. Located in the middle of Table Rock Lake and only minutes from Silver Dollar City, the entertainment and attractions Branson has to offer. Port of Kimberling Marina and Resort has a 39 room hotel located on the lake. 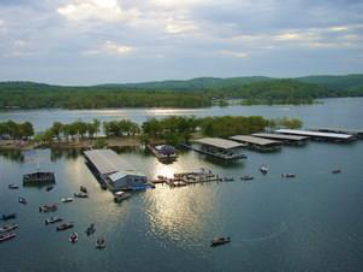 State Park Marina offers the most water sports activities on Table Rock Lake in Branson Missouri. 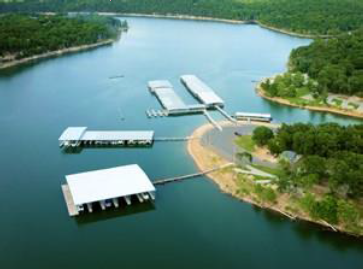 Clean, modern facility is conveniently located inside Table Rock State Park off of Highway 165, the closest Marina to Branson. Slip rentals, boat rentals, wave runners and more. A full-service marina . A fairly new facility includes a full service gas dock with pump-outs, beer, gas, ice, and all of the conveniences you many need. Launch your own boat at nearby US Army Corps of Engineers launch. Boat rentals and more, located on the James River Arm of Table Rock Lake. Sailing, Scuba Diving, Skiing, Wake Boarding, fishing and more. © Copyright 2019 Linda Schlax. All rights reserved.